WELCOME TO THIS GORGEOUS HOME IN THE ESTATE SECTION OF SPRINGHURST! 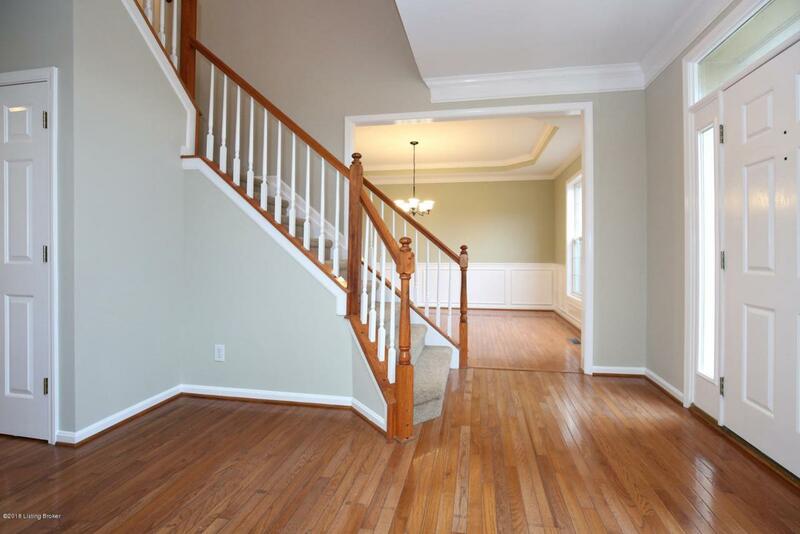 This 5 Bedroom 4 Bath Home features hardwood floors, crown molding, wainscoting, built-ins, front & rear staircases, recessed lighting, & new interior paint throughout. 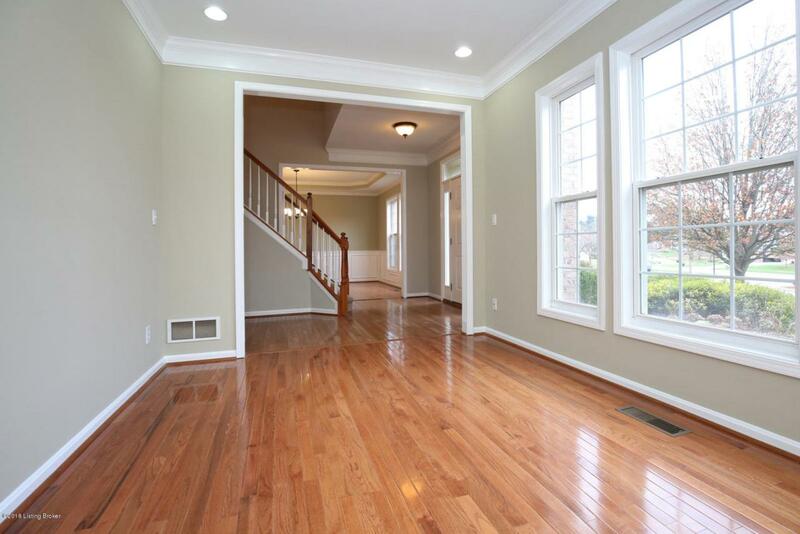 Foyer, Living Room, & Formal Dining open to a Double-Height Great Room featuring multiple windows that span to the ceiling, gas fireplace w/ granite hearth, & extensive built-ins. Eat-in Gourmet Kitchen offers a center island, corian countertops, large pantry, built-in desk, & GE stainless Monogram appliances including an Advantium oven, a second oven, dishwasher, & GE Cafe gas cooktop w/deluxe vent hood. Dining Area opens to a gorgeous stamped concrete patio w/stone accent wall & firepit. Large Laundry Room off the kitchen includesample cabinetry & laundry sink. A Mud Nook w/built-in bench & a coat closet are just off the 3 Car Garage. First Floor Bedroom/ Office also open to the large backyard. Vaulted Master Suite features his & her walk-in closets, Master Bath w/dual vanity, corner whirlpool tub, large shower, & private toilet. 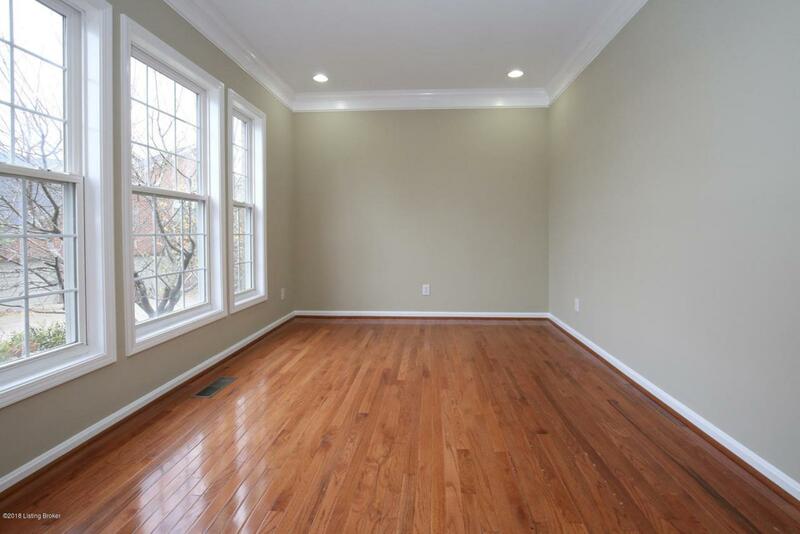 Second Floor also includes 3 more spacious bedrooms, full bath w/dual vanity, & bonus vaulted area w/built-ins great for playroom, media room, or office. Finished Basement offers huge Family Room w/ wet bar, 4th full bath, two more additional rooms, new flooring, & unfinished space for storage. Exterior features large backyard, ample driveway for additional parking, basketball goal, & trees nestled along the patio for privacy. 3 Car Garage offers a built-in workbench & shelving. Home also includes a NEW AC UNIT & security system. Located on a cul-de-sac, this home is centrally located in a highly desired area w/ great schools including Norton Elementary & Kentucky Country Day, Paddock Shops, EP Tom Sawyer Park, Standard Country Club, easy access to expressways & more!